WE ARE SOLD OUT FOR THE 9/26 SESSION. PLEASE JOIN THE WAITLIST IN THE BOX BELOW AND YOU WILL HAVE PRIORITY FOR REGISTERING FOR THE NEXT ROUND. We have added an extra half-hour to the weekly coaching sessions! This will give you the opportunity to ask Mike more questions and discuss the course material in more detail . “How to Work Aggression Cases A-Z” gives you a detailed step-by-step manual for working an aggression case from start to finish. 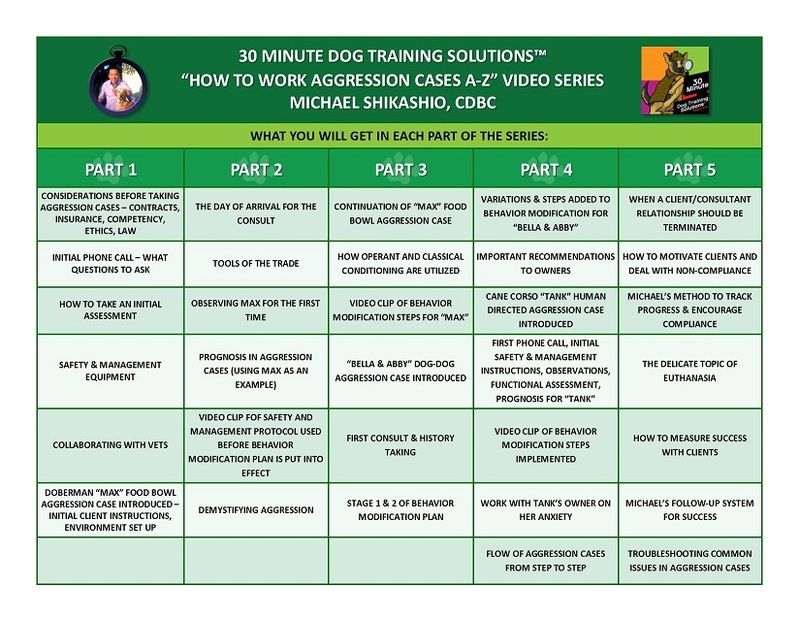 This is the system that Michael Shikashio, world renowned aggression specialist and one of fewer than 200 Certified Dog Behavior Consultants, has used to successfully treat hundreds of aggression cases. Using several of his past aggression cases, Michael will teach you what he does from start to finish. 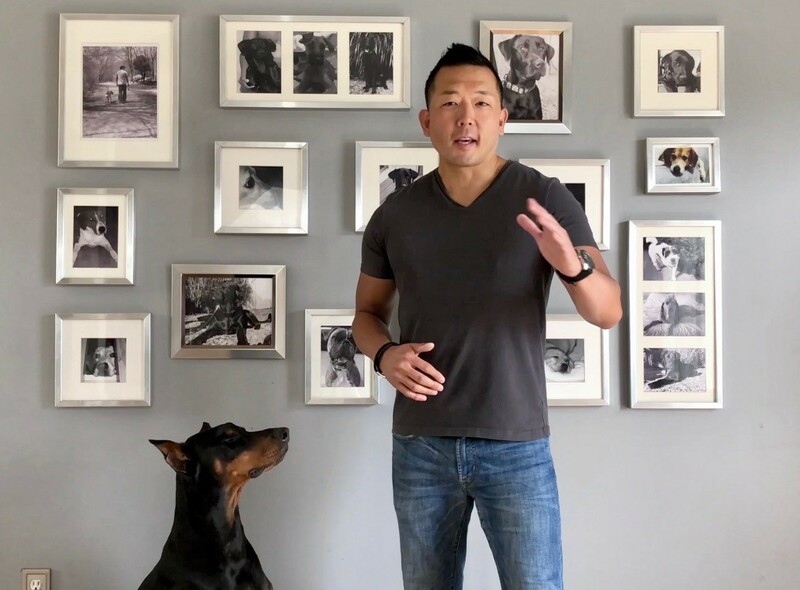 He will give you concise explanations of the science behind how he uses behavior modification to successfully rehabilitate the dogs in each case, as well as the practical application in each case. 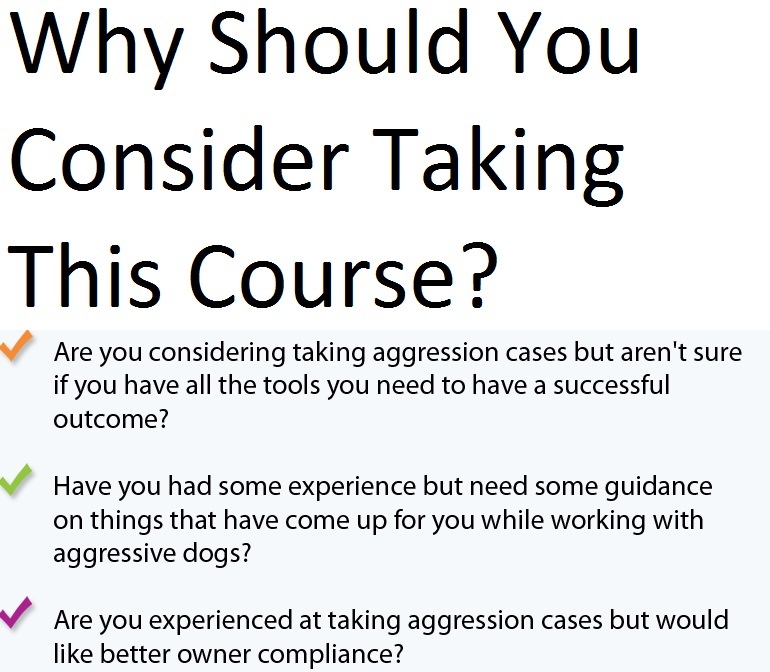 The material included in these videos covers Michael’s “System” he uses while working his toughest aggression cases – from modifying the behavior of an extremely aggressive dog to working with difficult clients. As one of a limited number of dog trainers participating in the hour long interactive sessions, Michael will share additional material and videos with you as he expands and enhances the information in that week’s video lesson. If you have any questions about that week’s material, Michael will answer them and give you personalized practical information that will be invaluable to you in working your current or future aggression cases. We urge you to watch the weekly video before joining the online coaching session if you can. It’s not mandatory but it will help you get the most from Michael’s “System” of working aggression cases. This is a closed group for trainers who are taking or have taken this course. You can post your own case studies here and get valuable feedback from Michael and other trainers in this group. You can also find valuable resources here that will help you with your own aggression cases. How many CEUs will be awarded? Full refund less $35 administrative fee up to Septmber 19, 2018.